Club Arcada is one of the most exclusive entertainment experiences in the Midwest, re-living the glory days of The Roaring Twenties in Chicago! Located on the third floor of the historic Arcada Theatre in St. Charles, its décor, period music and dining resonates with the speakeasy era. Get ready to enjoy Club Arcada with the DeKalb County Farm Bureau on Thursday evening, Feb. 21, 2019. Guests begin the evening by entering through a secret door located in the library next to a 1920s shoeshine stand. On your left will be the Prohibition Lounge, a quiet “getaway” from the party. Then you will see Louis Armstrong’s Speakeasy Bar, a copper and bronze room flanked by a 48-star flag from the 1933 World’s Fair in Chicago, a 125-year-old cash register and 100-year-old beer taps. Continue walking, on your right is Charlie Chaplin’s “Little Tramp” Room, where you will see a five-foot 1908 shutter camera and original spotlights and stage lights from 1926-era Arcada Theatre. Then you will enter the “Fred & Ginger” Room, the main showroom, breathtaking and intimate, with a professional dance floor, muraled walls, an exquisite thousand-crystal chandelier and priceless antiques. Club Arcada will provide Farm Bureau members with an Italian dinner buffet and musical entertainment by the Nick Pontarelli Band. 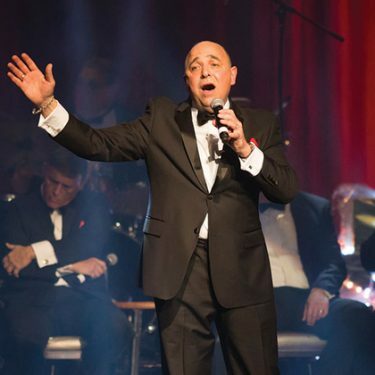 The band has made their mark on the Chicago music scene with a fresh take on all the greats including Frank Sinatra, Dean Martin, Frankie Valli, Bobby Darin, Neil Diamond and more. Cost of this speakeasy experience is $66 per person and includes motor coach transportation, Club Arcada dinner and music. Motor coach departs Farm Bureau at 5:15 p.m. Registration opens Monday, Dec. 3 beginning at 8 a.m at the Farm Bureau office. Call 815-756-6361 and make a credit card payment or visit the Farm Bureau office and pay by check or credit card. A limited number of spaces is available. Remaining spaces will be sold at the Prime Timers luncheon at 11 a.m.